Today is Digital Learning Day - a time to celebrate the incredible ways schools use digital tools to help students learn. As a former 4th grade teacher, I'm constantly blown away by the ways today’s teachers have embraced technology. What is happening in today’s classrooms (collaborative writing, virtual field trips) seemed light years away just 10 years ago. 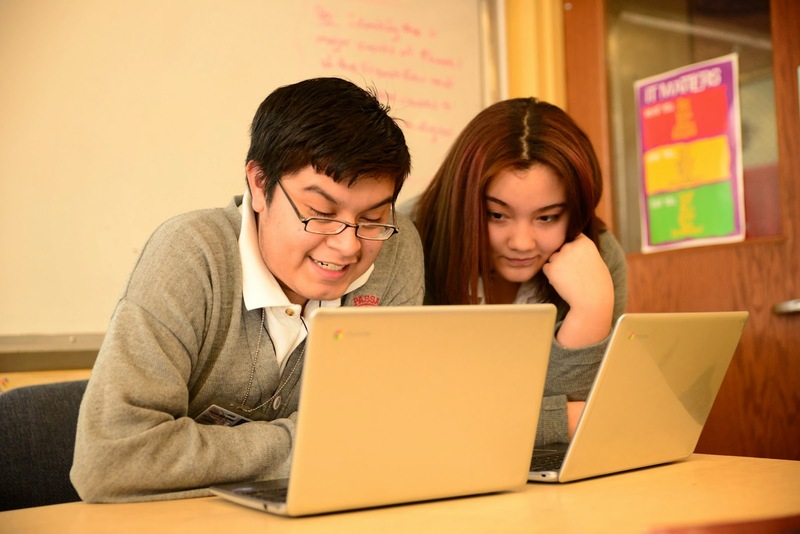 In honor of Digital Learning Day, we'd like to highlight a few benefits that teachers using Google for Education often mention: more powerful sharing, greater student ownership, new insights into the learning process, and connections beyond the school walls. Digital tools give teachers views into the student learning process that were never available before. A few months ago I visited a high school English classroom in which the teacher was “dropping in” on the papers students were writing with Google Docs. We opened up one student’s document and we saw that she had pasted the feedback from her last assignment as well as the scoring rubric into the top of her current paper. The teacher was impressed and immediately added a comment into the document praising her approach. When I was teaching I struggled to get speakers to visit my rural classroom. But today tools like Google+ Hangouts help teachers deliver learning beyond the classroom walls. For example, Vida Fernandez, a Special Education 9th grade English teacher in Passaic, taught a lesson on Frankenstein using Hangouts to connect with another class in Germany. The two classes represented the prosecution and defense in a ‘trial’ of Dr. Frankenstein, and both developed a sophisticated understanding of the narrative and characters of the book. Interested in learning more about how Google for Education digital tools can work in your school? If you’re a teacher, check out some of the upcoming educational adventures through Google’s Connected Classrooms. Your students can go underwater with sea creatures, talk to astronauts in space and meet other classrooms around the world. If you’re an administrator, read more about our school solutions at our website.